The Octaspring 8500 mattress is the deepest mattress Dormeo produce at 30cm deep. 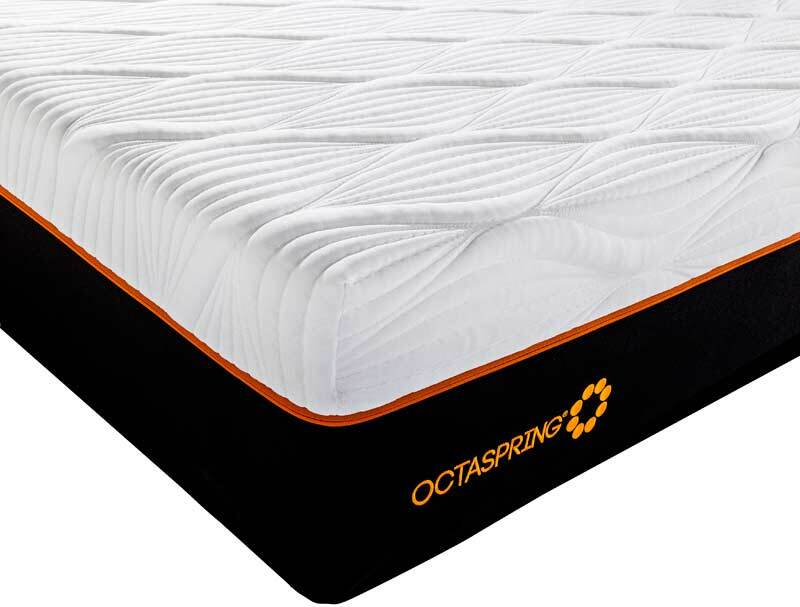 The Octaspring 8500 mattress is the softest and most luxurious within the range, rated as a soft to medium feel and comprises of 3 layers of Octasprings. 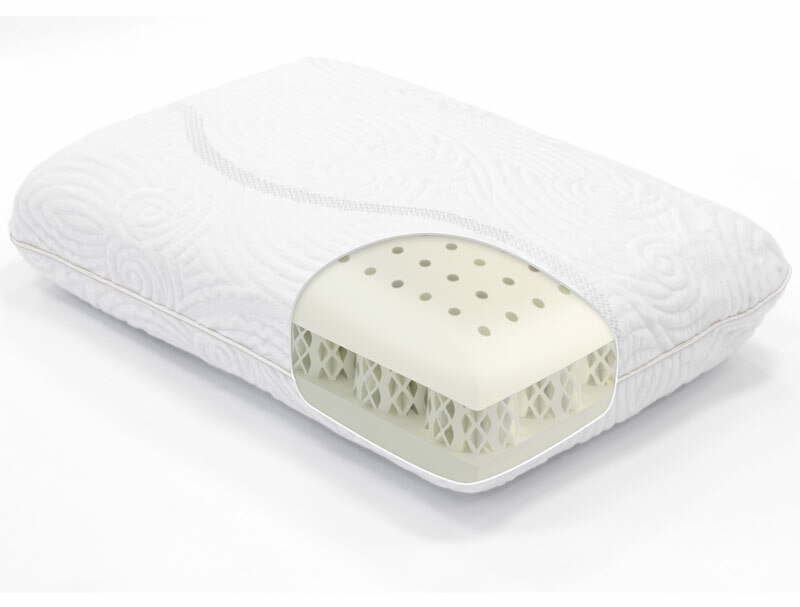 The top layer has memory foam Octasprings that are arranged to form 3 support zones. Then on top of these is a 4cm thick layer of memory foam. The middle layer has Octasprings that are arranged to form 5 support zones. These Octasprings have different densities of foams, that way they can give your body more support in the places that are naturally heavier. 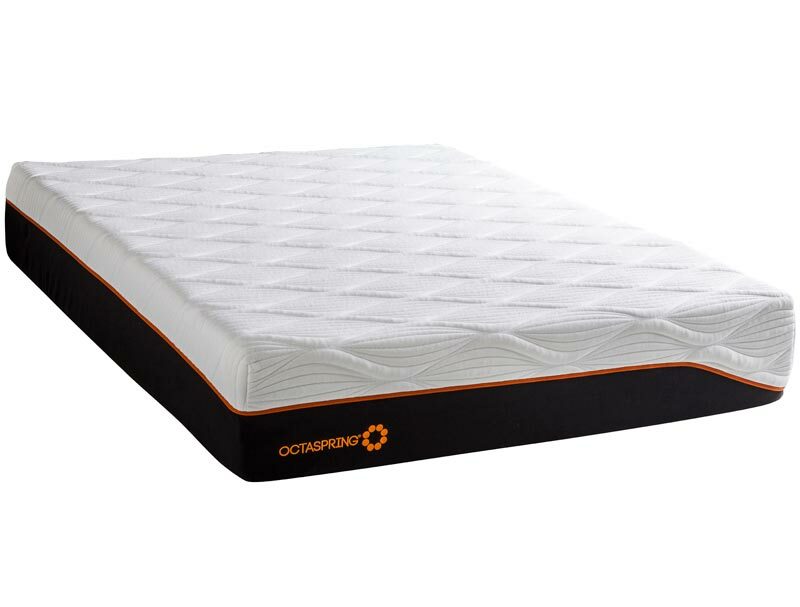 The bottom layer of Octasprings is designed to give a supportive foundation for the mattress while aiding air flow. 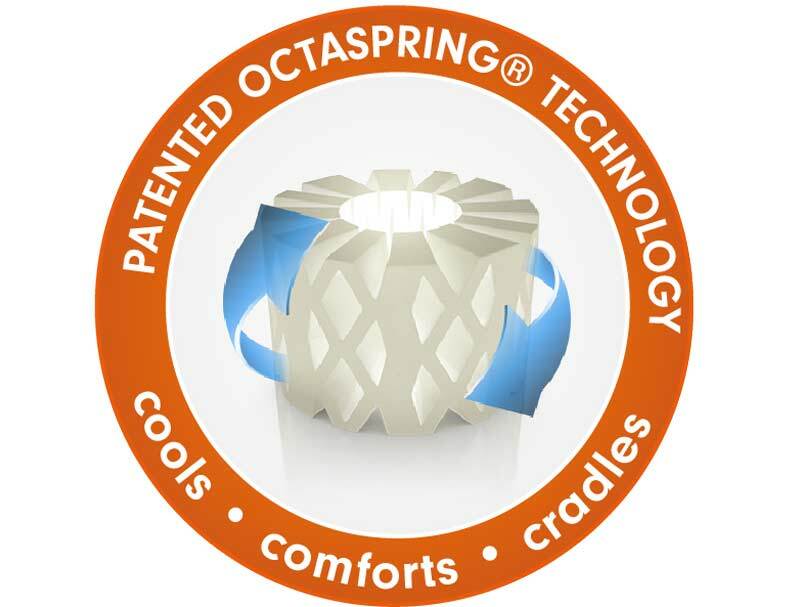 The design of each Octaspring with its 3 dimensional honeycomb shape aids the flow of air through the mattress. As pressure from the body's movement is applied to the Octasprings they act like bellows, expelling air as they are forced down. When the pressure is released and the Octasprings goes back to its natural position, it draws air back in. 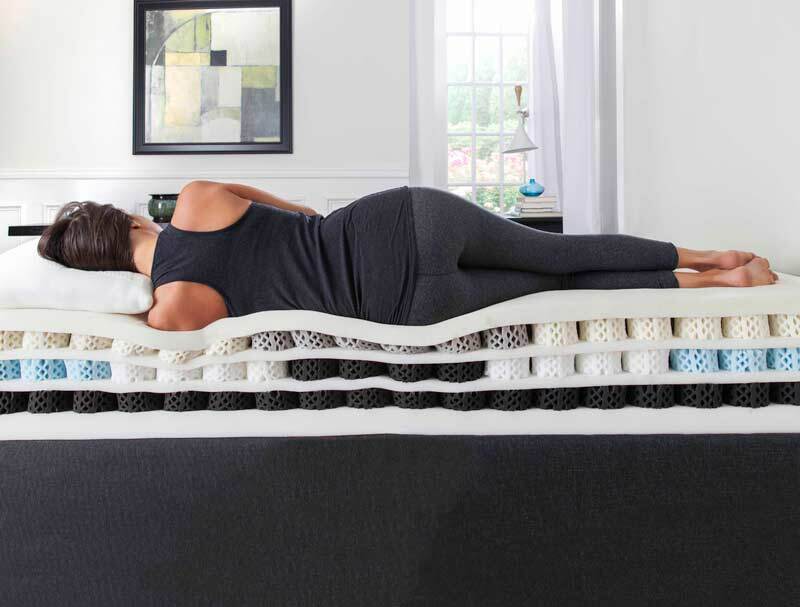 To aid with circulation of air throughout the mattress the cover has been designed with mesh sides, this helps old air escape and fresh air to be drawn in. 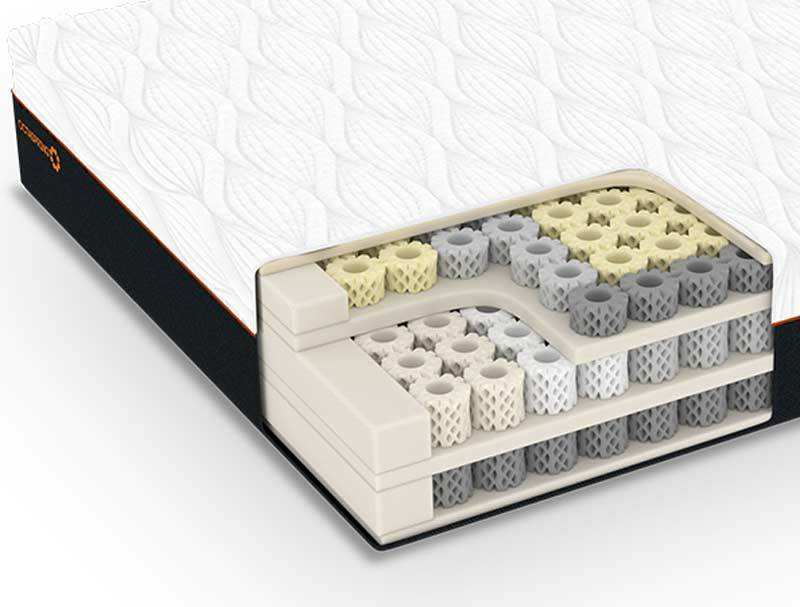 So unlike standard memory foam mattresses that are made with blocks of foam, the Octasprings has its own ventilation system providing a fresh healthy sleeping enviroment. Because of the Octaspring structure it can move side to side, rotationally and up and down. Compare this to a standard metal pocket spring that moves only up and down. Also with metal springs you always get a resistance when the spring wants to spring back. 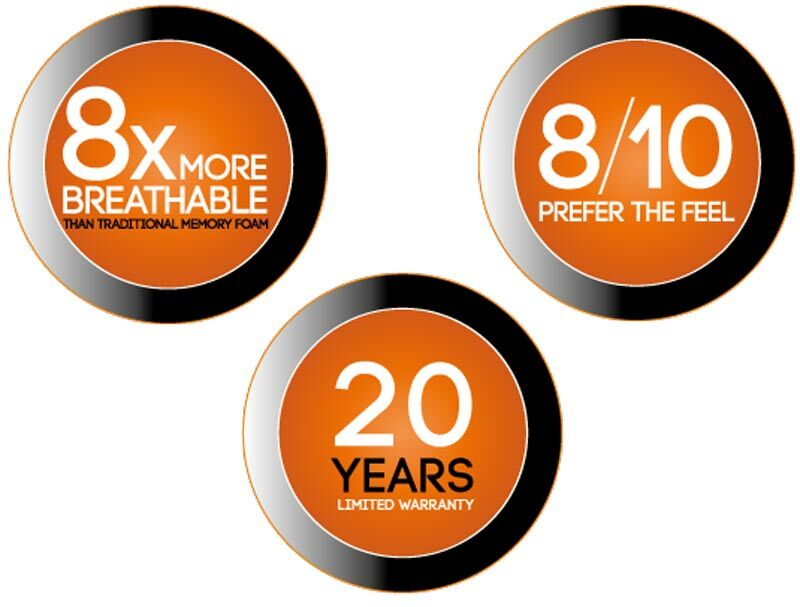 The memory foam Octasprings have no such resistance, creating no pressure points.